Hey everyone! I'm so excited to be guest blogging over here at Rhinestone Beagle. 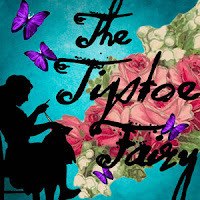 I am Stephanie, the author of The TipToe Fairy. 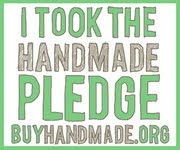 To tell you a little about me...I love cooking, baking cupcakes, sewing, and all kinds of craftiness. 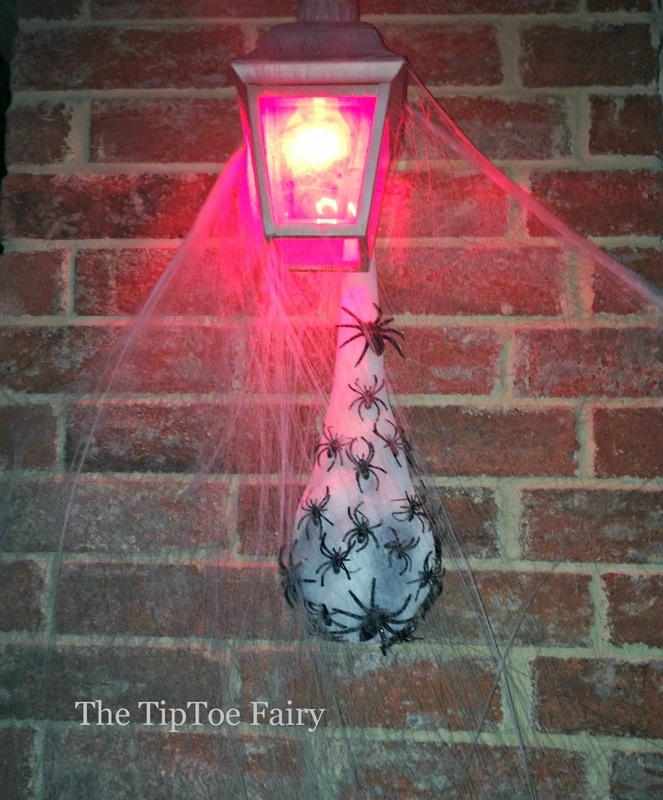 My absolute favorite holiday is Halloween, and I love to decorate for Halloween! 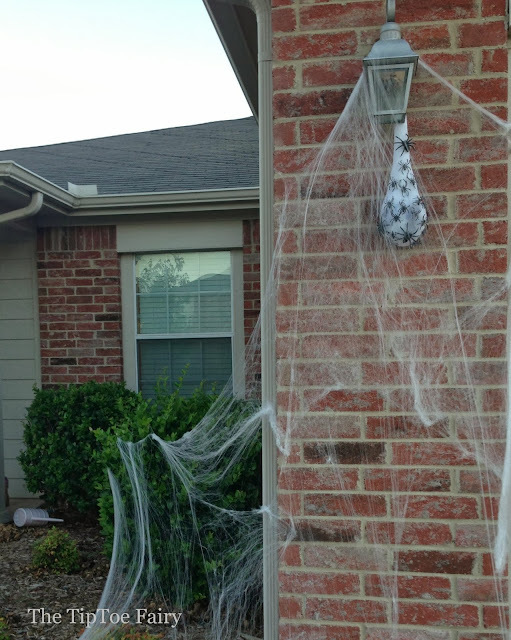 One of the easiest ways to make your house creepy festive for Halloween is using those inexpensive spider webs you can buy at the store. They usually cost about a dollar and you can stretch them all over your yard. 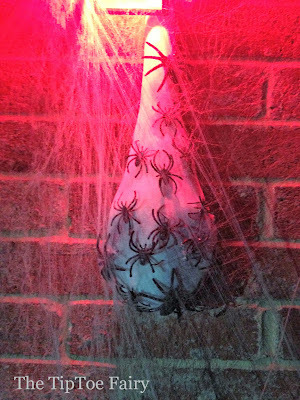 One way to make it spruce up those spider webs for an even creepier look is to add some spider egg sacs along with the spider webs. These can easily be made with a few supplies -- including water balloons. 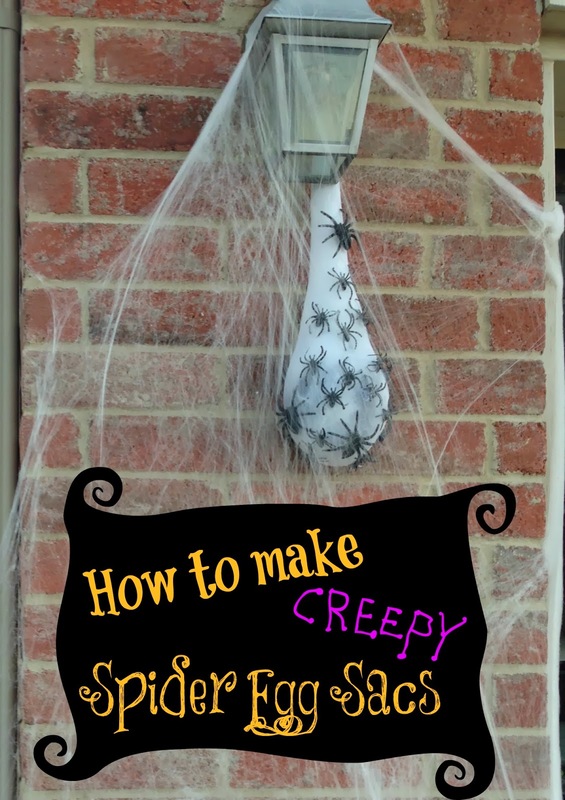 This is a super cheap and super easy DIY Halloween decoration. 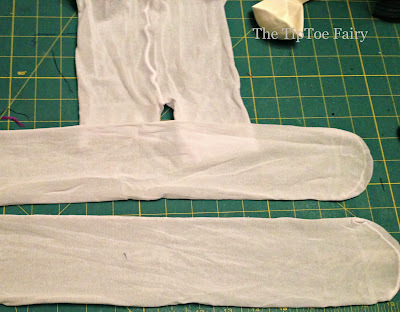 The only supply I did not buy from the dollar store was the polyfil stuffing I had on hand. 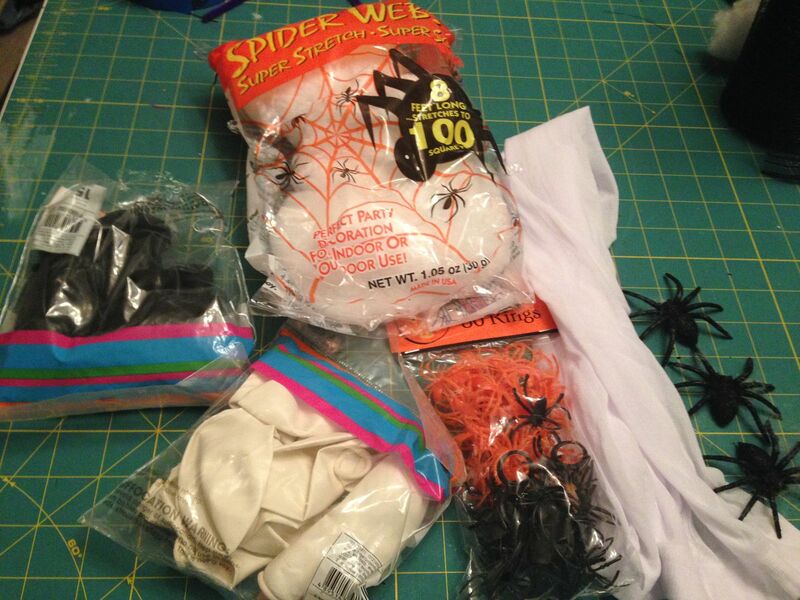 However, as an idea, you don't have to buy a big ol' bag of stuffing, you could just use a second bag of the white spider web at the dollar store and use that as stuffing. It will work just fine. 1. Cut a leg off the tights. 2. Fill the balloon with water to about the size of a large orange and tie off. 3. First, insert a handful of stuffing into the leg. 4. 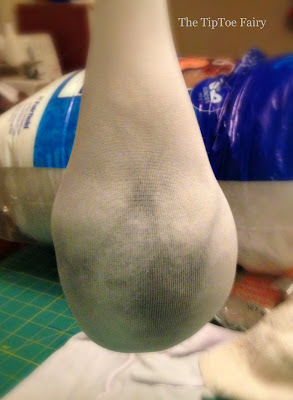 Then, insert the balloon into the leg and work the stuffing to come up around the balloon. 5. 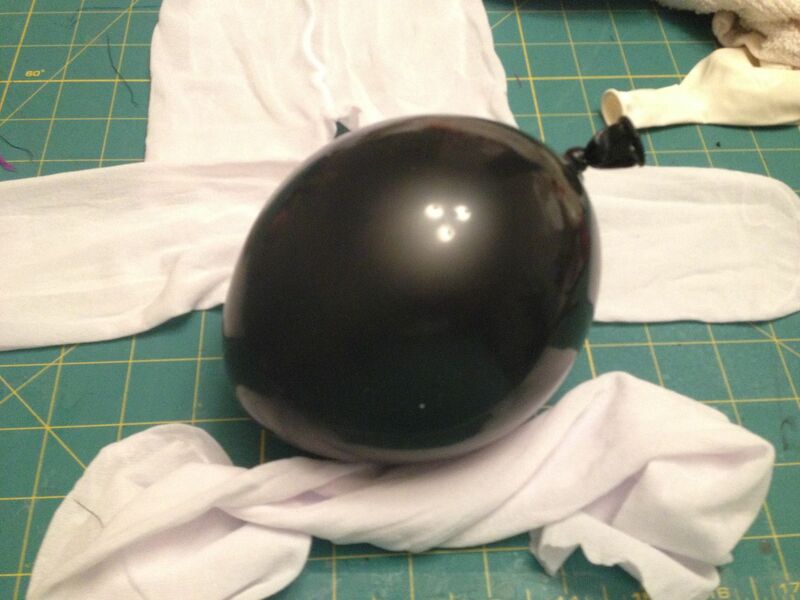 Next, add some more stuffing on top of the balloon and work it around the sides so that there is a marbled look of white and black to look like lots of baby spiders inside. Add a bit more stuffing on top to give it more of an egg sac look. 6. 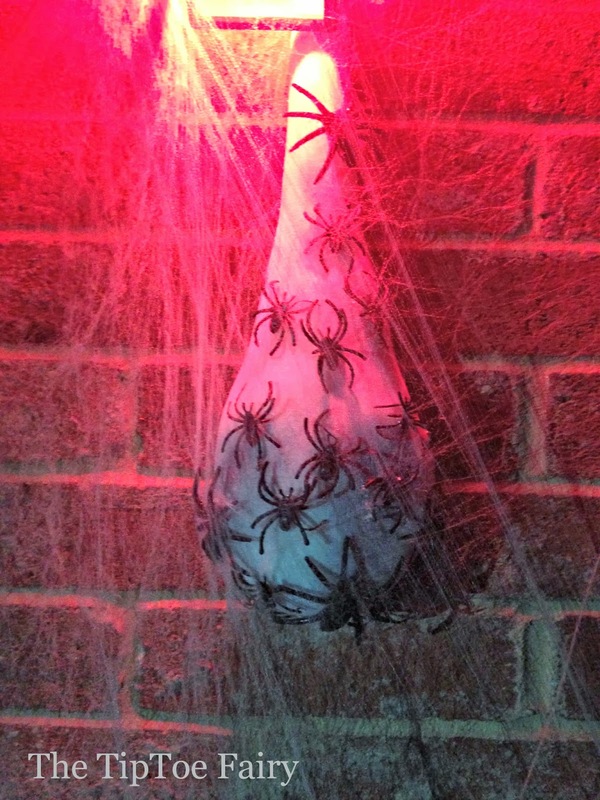 Hot glue spiders all around the sac to look like they are coming from under the sac. 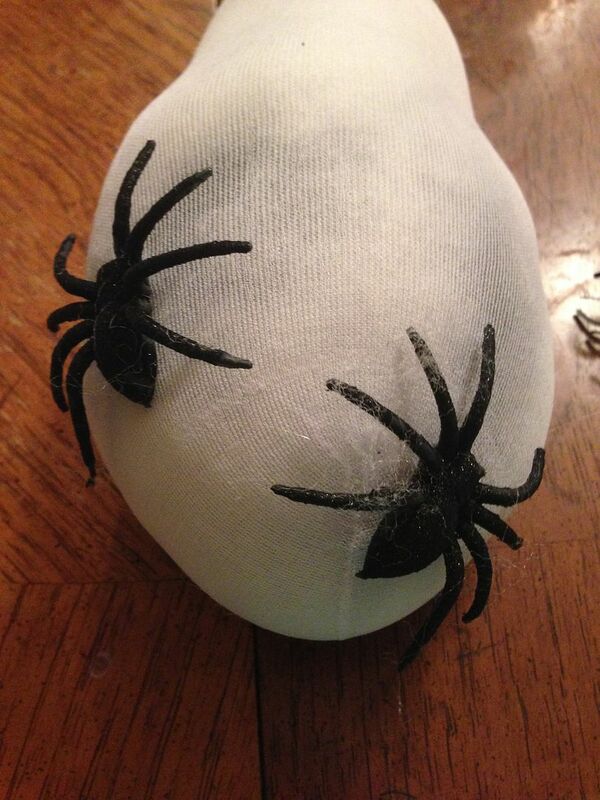 Glue more closely together towards the bottom and less as you go up the spider sac. 7. 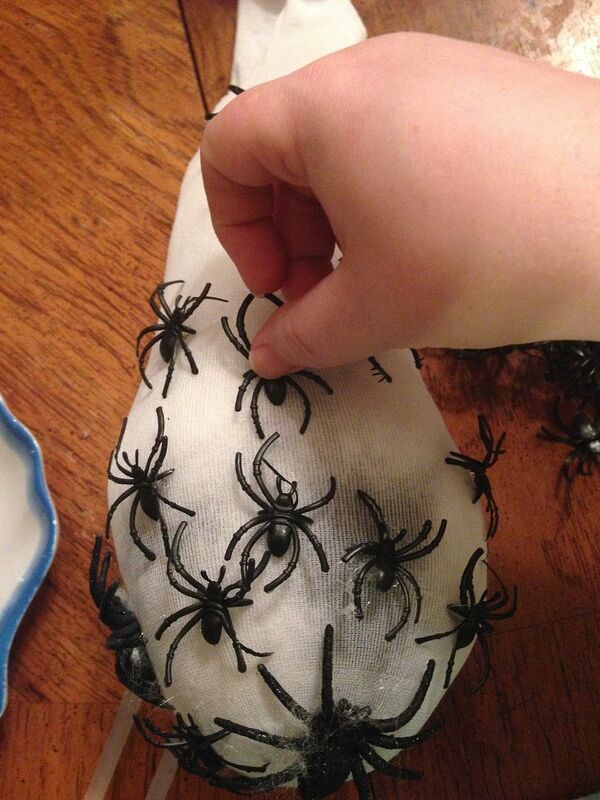 To attach the spider sacs, you can use push pins or adhesive hooks like 3M Command. 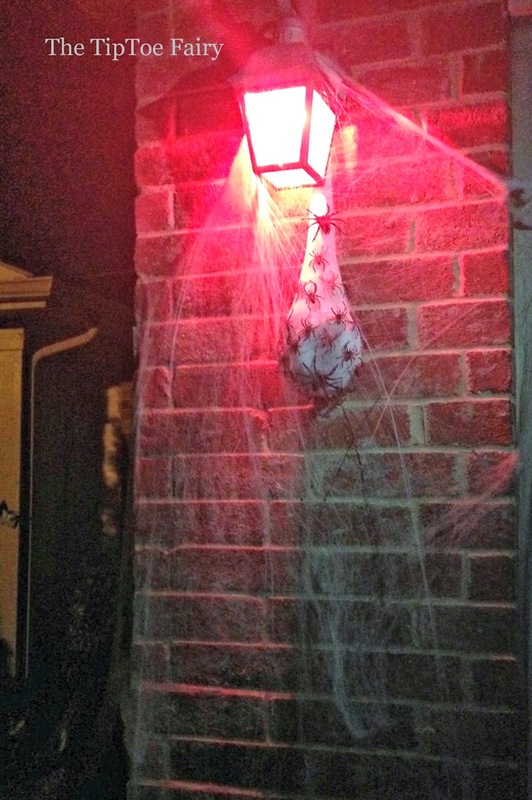 I was able to just tie mine onto the light fixtures. 8. 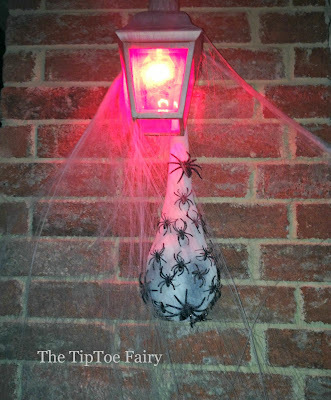 Once the spider sac is hung, spread spider web all around to add to the festive look. This was a lot of fun to make. Thanks for letting me guest blog, Anita! !